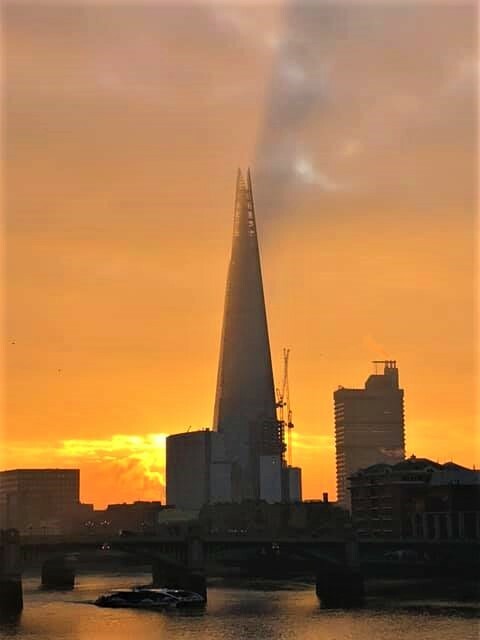 This wonderful photo of London's skyline at dawn, with a view of the Shard, was taken from the Millennium Bridge yesterday by John Davies. He kindly let me share it on A Bad Witch's Blog and I think it is amazing. go ahjead and give you a shout out from Huffman Texas! Just wanted to tell you keep up the great job!